Omni – a San Francisco-based self-storage startup that’s raised over $US40 million – is on a mission to transform the traditional self-storage world. Omni lets users not only store their items for a flat monthly fee per item, but it also allows for those items to be rented, helping people earn money on things that would have otherwise collected dust. On Wednesday, the company announced it would start letting users cash out their rental income by moving it to a cryptocurrency wallet (XRP) instead of a conventional bank account. “Having a strategy for how you want to work with some degree of crypto is important for almost any startup at this point,” Omni CEO Tom McLeod told us. Costume Town may look like a typical, online costume rental store – complete with a replica Stormtrooper suit and Spider-Man onesie – but behind the scenes, it runs a little differently. 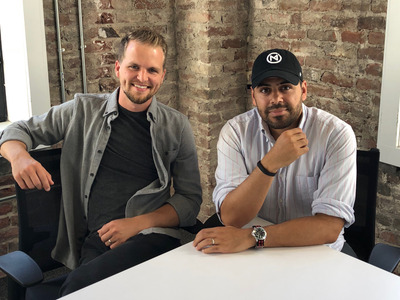 Rather than keep its inventory in a storefront or warehouse, Costume Town is built on Omni – the San Francisco-based startup that’s on a mission to transform the traditional self-storage world. Omni lets users not only store their items for a flat monthly fee per item, but it also allows for those items to be rented to strangers, helping it customers earn money on things – like fancy plates, or crutches – that would have otherwise collected dust. Some, like Costume Town, use Omni as the back-end inventory storage for their business. When you want to store an item, you schedule a pickup, and an Omni courier grabs it from you. When you want it back, same deal; just use the app to schedule a dropoff. A camera might cost you $US0.50/month to store with Omni, while larger items like a bike may be $US3/month. Pickups and dropoffs can be free, depending on the time of day. “We’re always trying to push the boundaries on how people think about assets, ownership, and access,” Omni CEO Tom McLeod told Business Insider in a recent interview. On Wednesday, Omni announced it was pushing those boundaries even further by letting users cash out their rental income in XRP, a popular form of cryptocurrency associated with the blockchain startup Ripple. McLeod tells us when a user decides to cash out, his company will look at the current prices across the top five XRP exchanges and offer the average of those amounts to be transferred to a user’s XRP wallet. Once the transfer is complete, users can store that value in their wallets and, when they decide the time is right, trade it for regular money. McLeod gives the example of a tent that rents for $US50 over the weekend. An Omni user can cash out $US25 in USD to their traditional bank account and move the remaining $US25 to their XRP wallet as an investment. Omni COO Ryan Delk explains that the reason XRP was such a great fit for this dip into cryptocurrency was mainly because of the token’s liquidity. “The transaction confirmation speed is incredibly fast (seconds), the cost to transfer is really low (pennies), and it’s very liquid – you can move XRP into any other currency on any major exchange,” he said. Omni hasn’t been shy about its interest in crypto. Part of its recent $US25 million funding round came from two Ripple executives – Chris Larsen and Stefan Thomas – in the form of XRP. Beyond the XRP integration, Delk tells us that bringing its services to more cities across the US will be a focus for the company. Last month, the storage-startup that’s raised over $US40 million in funding began operating in Portland – its the first market outside of the Bay Area. The company also wants to invest in building out tools for businesses, like Costume Town, which are actually relying on Omni to make their own businesses run.